Location is great! 15-minute drive to Hallstatt. But we end up loving this town more than Hallstatt. It is quite, cozy and soooo beautiful. Great get-away place to relax. My room has kitchen, bathroom, bedroom and a balcony. It is so comfortable to sit on the balcony and enjoy the great view of the mountains, sunset and the sky full of stars. After a long trip in Europe, we can finally cook something by ourselves. We got there on a Sunday and most supermarkets are closed... The host Trudy is so nice. Their family photo on the corridor wall tells their happy story. One of the best places we stayed during our trip in the Central Europe. Super feiendly host, provided some small yet essential stuff well in advance. Felt like a home. Would definitely visit here again. Everything was great, new towels when we needed were offered, additional kitchen supplies were offered, the hosts were very kind to take us to doctor when needed, i cannot complain of one single thing! Even toys were offered to the kids for the whole stay! Nice spacious and clean house. Trudy is very helpful and accommodating. We rent the entire house for 8 of us. It comes equipped with everything you need for a comfortable stay - full-set kitchen, wash machine, and toiletries. One of the best bookings we had in our 9 city travel. very nice environment, host very helpful, kind and welcoming. Room was clean, and had a nice terrace for a breakfast or dinner. Lock in a great price for Apartmenthaus Hinterer – rated 9.5 by recent guests! 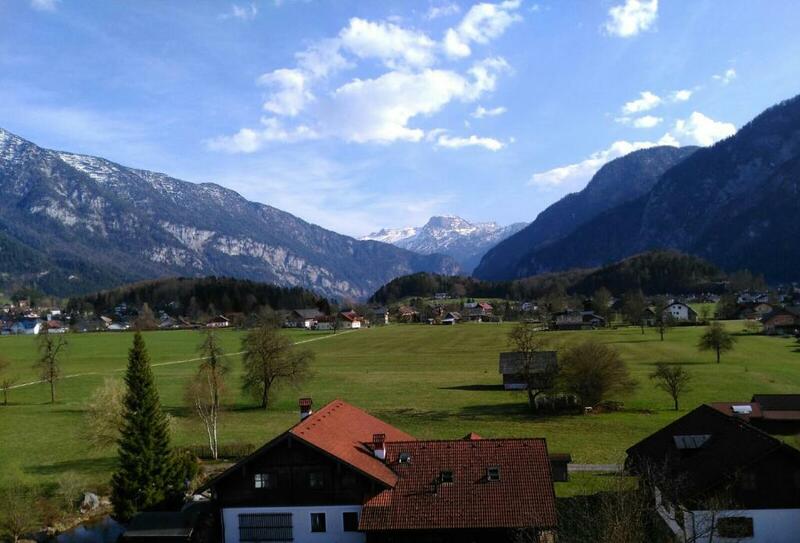 The Apartmenthaus Hinterer enjoys a quiet location in Bad Goisern, a 15-minute drive from Hallstatt and a 10-minute drive from Bad Ischl. It offers a sauna and free WiFi as well as free private parking. All of the Hinterer apartments feature a kitchen including a dishwasher and a microwave, a DVD player, and a balcony. They offer views of the surrounding meadows and mountains. The final cleaning fee is included in the room rate. A free ski bus stops a 5-minute walk away serving the Dachstein West Ski Area. During the warmer months children can have fun on the playground. A washing machine and a dryer can be used as well. 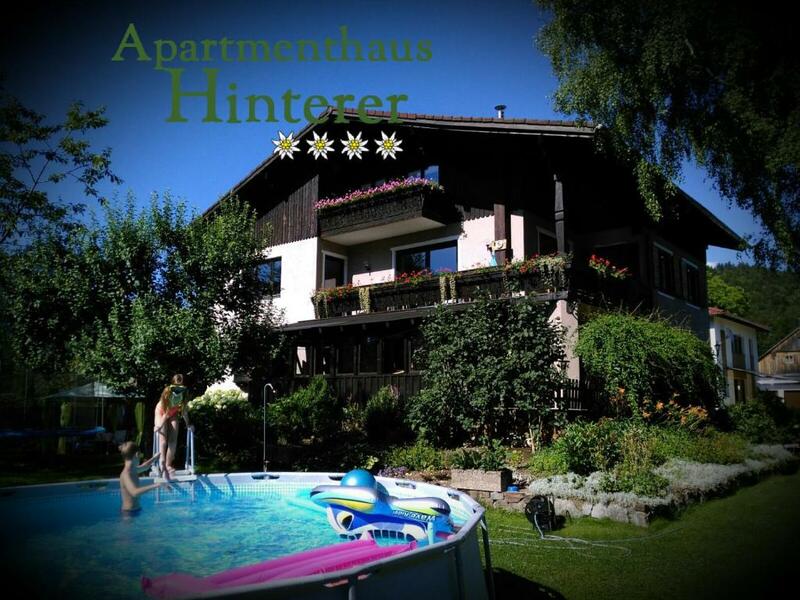 When would you like to stay at Apartmenthaus Hinterer? This spacious apartment is equipped with toys, and books for children, and a high chair. The apartment features a balcony with panoramic mountain views and a bathroom with a shower and a bathtub. Please note that the room rate is based on 6 guests. Located in the attic, this apartment features a living and dining room, a balcony with mountain views, a fully-equipped kitchen, and it is equipped with toys and a high chair. The second bedroom can only be accessed via the first bedroom (walk-through room). Please note that the room rate is based on 4 guests. A spacious anteroom provides access to the big dining room, a living room and a fully equipped kitchen. Every room offers panoramic mountain views. You have free access to the sauna. Free WiFi is available as well. Maximum occupancy is 8 adults, children up to 3 years free of charge. Het huis was orgineel een meer familie woning. Op iedere laag woonde vroeger een gezin. Toen wij het huis in 2007 aankochten hebben we deze woningen gerenoveerd en voorzien van de nodige luxe voor onze gasten. In totaal beschikt het huis nu over 3 grote woningen en 1 kleine woning. 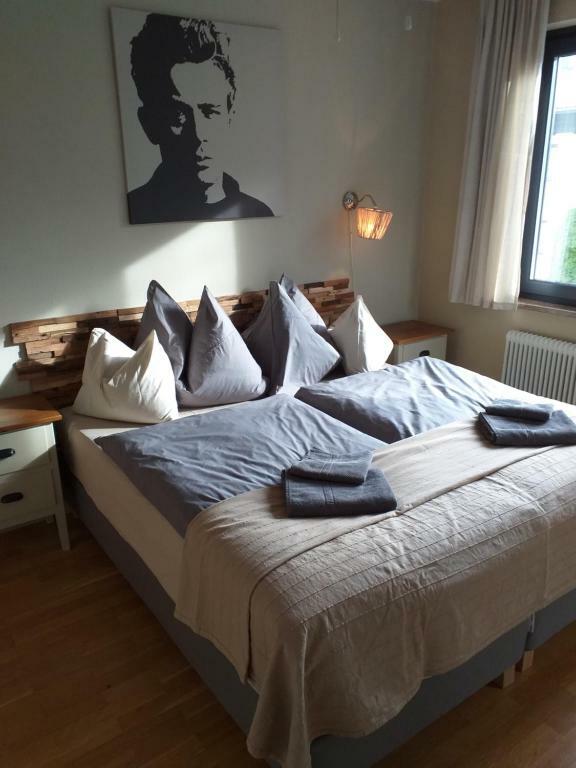 De kelder hebben we voorzien van een Sauna en opslagruimte voor Ski uitrusting. In de tuin hebben we verschillende zitjes gemaakt, een grill hoek, een kinderhoek en in de zomermaanden plaatsen we een zwembad. Door onze reiservaringen hebben we geprobeerd om de woningen voor jong en oud optimaal naar het zin te maken. Daarvoor hebben we de inrichting huiselijk en met een hoog thuis gevoel gehalte ingericht. Ons streven is dus ook dat de gasten zich meteen thuis voelen in de woningen. We helpen graag onze gasten op weg naar de juiste activiteit en horen graag de ervaring en staan open voor alle reactie´s. Het huis is aan een prive straat gelegen in een klein prive wijkje, omgeven door weilanden en bergen. Ruimtelijk en rust past goed bij ons huis. House Rules Apartmenthaus Hinterer takes special requests – add in the next step! Please inform Apartmenthaus Hinterer of your expected arrival time in advance. You can use the Special Requests box when booking, or contact the property directly using the contact details in your confirmation. We are so satisfied to stay here. Everything is perfect, the view outside, comfortable room with very friendly and helpful host. The host was amazing and Waking up to a great panoramic view was marvelous!!! It is a superb location and the rooms are amazing. Host is very sweet, helpful and kind. We travelled with a 3, 2 year old and a 10 month old and the facilities in the apartment were child friendly and this has definitely made our holiday with kids less stressful. There was a play area, cot, high chair and even a changing area for my baby. The apartment is clean, spacious and cosy. The host was lovely and accommodating. If you are a sauna enthusiast don’t expect any fancy facilities. Rest area is next to drying shoes and no pool / cold water to cool down. Extremely friendly owners and the rooms were very clean and comfy. Accommodated to our late arrival as well and made sure we feel great. Nearby Hallstatt.Amazing view and friendly hosts. No oven, thats the only negative point. The only think I would like to suggest would be it’s a bit inconvenient to only have one toilet (Although there are two showers) in a three bedroom apartment - was quite hectic especially in the morning. It’s a big apartment, with everything you need. Very comfortable and extremely clean. Trudi helped us with everything!